The General Assembly had assumed growth of about 5 percent when it crafted the budget for the fiscal year that began last July 1. December’s numbers mark the halfway point, and show an increase so far of about 2.2 percent for the fiscal year’s first six months. December’s tally for the month illustrates the problem. Growth for the month was only 0.3 percent – or $2.4 million – compared to December 2015. Under the Missouri constitution, the state’s budget must be balanced by the end of the fiscal year on June 30. The governor has broad powers to cut or restrict spending in order to comply. Acting State Budget Director Dan Haug said in an interview a month ago that the chief reason for lower-than-expected income numbers is a sharp decline in corporate tax collections. The state’s revenue from business taxes are down by more than 35 percent in less than two years. Haug points to a change in Missouri's tax laws that deal with how multi-state corporations divide profits among the states where they do business. Outgoing Gov. 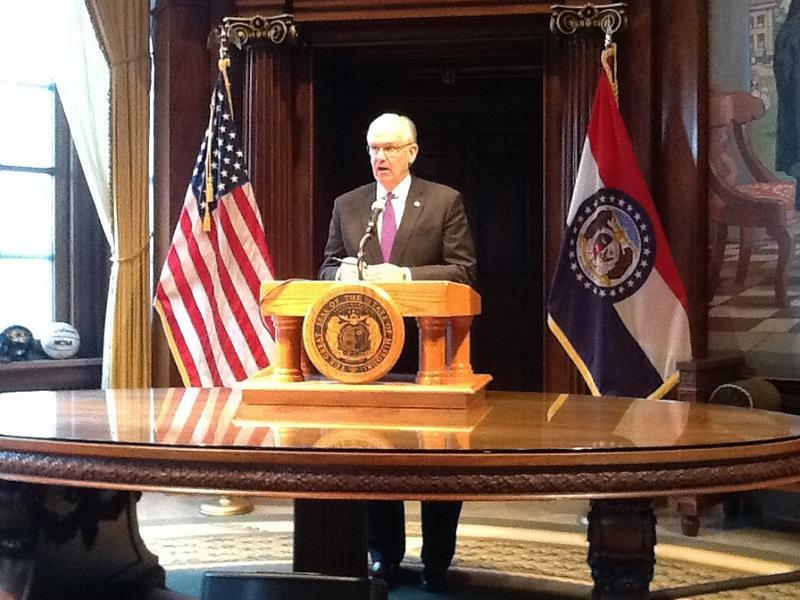 Jay Nixon acted in early December to withhold $51 million in budgeted state spending. “Withholds’’ can be restored if the state’s income picture improves. In any case, Greitens is expected to have to withhold about $150 million in additional spending soon after taking office next Monday. Increased 3.5 percent for the year, from $3.05 billion last year to $3.15 billion this year. Increased 0.6 percent for the month. Increased 1.2 percent for the year, from $1.04 billion last year to $1.05 billion this year. Decreased 11.8 percent for the month. Decreased 26.5 percent for the year, from $244.9 million last year to $179.9 million this year. 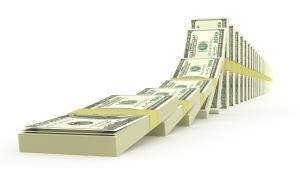 Increased 16.7 percent for the year, from $183.7 million last year to $214.4 million this year. Increased 35.1 percent for the month. Decreased 1.4 percent for the year, from $343.9 million last year to $339.1 million this year. Decreased 35.6 percent for the month. Haug reported that the state borrowed $50 million from its Budget Reserve Fund for cash flow purposes. The money must be repaid to the fund by the constitutional deadline of May 15. Missouri's current state budget is taking another hit. Gov. 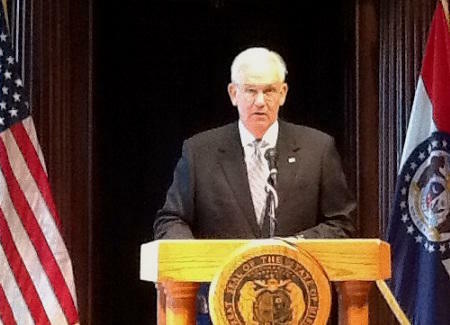 Jay Nixon announced Thursday that he's withholding $57.2 million from several state agencies and programs after lawmakers on Wednesday overrode vetoes he made on two tax breaks. 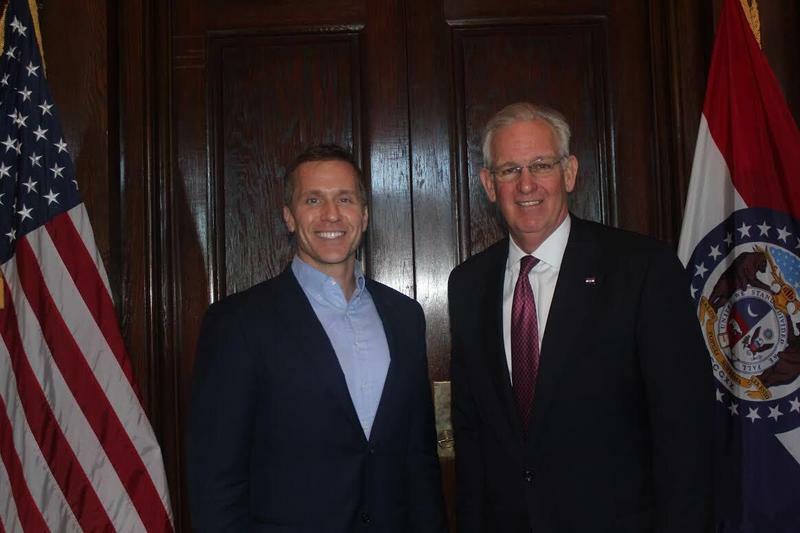 This article first appeared in the St. Louis Beacon: Growth may be slowing, but the Missouri’s revenue stream continues to flow heavier than expected. The latest numbers released today by state Budget Director Linda Luebbering, show that Missouri’s general-revenue collections for the current fiscal year are running at a pace that’s up 8.3 percent overall, compared to a year ago.